Hi friends! How are you? Hope you’re having a happy Monday! I’d love to hear about your weekend and what you were up to! 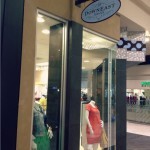 and lots of shopping. Whenever we meet up with them, it’s like no time has passed at all. Since we move so often, we’re lucky to have friends all over the world. I feel so fortunate that our time in San Diego introduced us to these wonderful friends, who are really more like family. I’ll be recapping some of the adventures, including where we stayed + all about Hamilton in the am, but for now, let’s talk about the food. In Chicago, there’s an awesome restaurant every 20 feet or so. I could stay there for 2 weeks, go all out for every meal, and not even begin to touch all of the best dining possibilities. 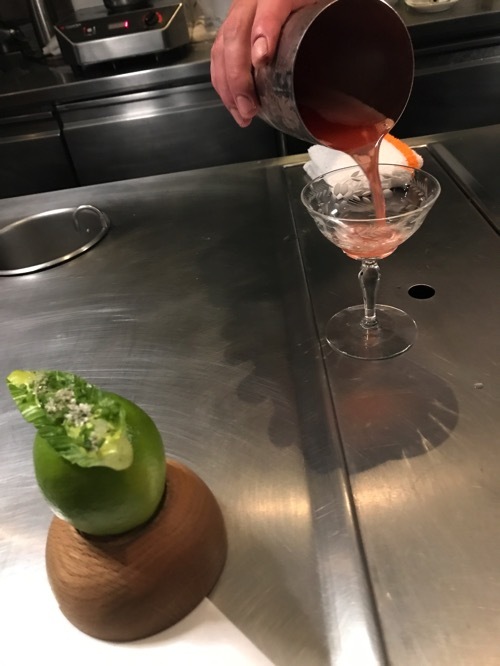 While we depended your amazing suggestions + online reviews to make restaurant decisions, going into the trip, we knew there was one place we had to go: Alinea. 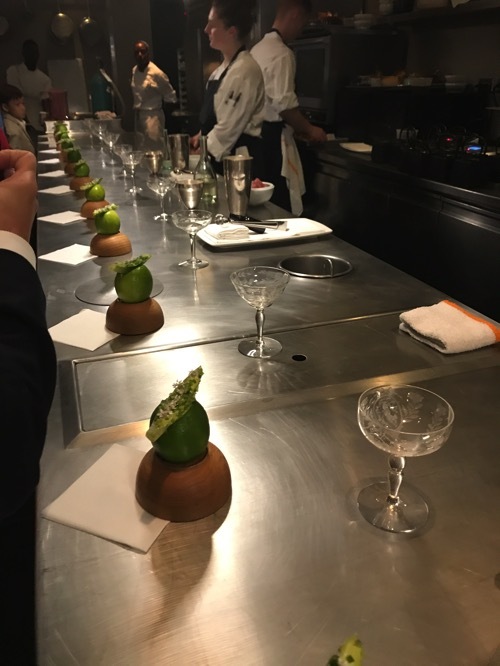 The Pilot and I are huge fans of Chef’s Table on Netflix -it’s one of the few shows we both like- and when we saw the episode featuring Alinea and Chef Grant Achatz, we knew we had to go at one point or another. 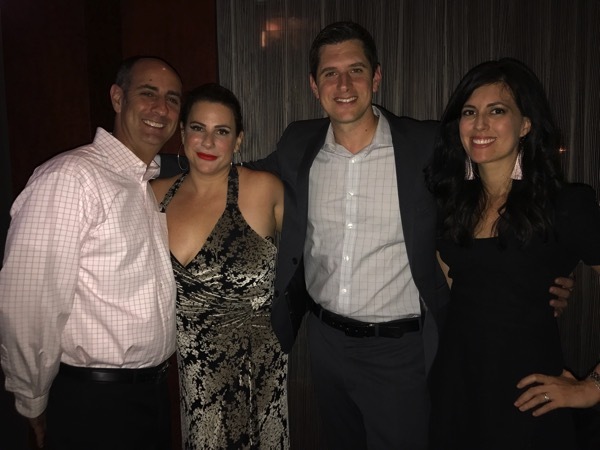 When we decided on a trip to Chicago with Betsy and Jeremy, Betsy was ready to place our reservations exactly two months in advance, because they sell out quickly. (I was knocked out on painkillers from my surgery, so there was no way I could/should have made reservations haha.) We got the LAST reservation of the weekend, for 9:15pm on Thursday night. It was an exciting thing to look forward to, and the perfect way celebrate our first night in Chicago together. and then grabbed a cab to the slightly-hidden destination. Alinea is a smaller restaurant, and only seats 16 people at a time in the main dining room. 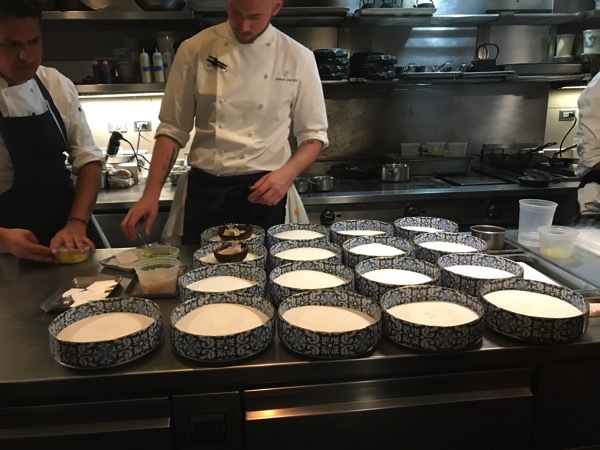 It was a 16-course meal, and we had no idea what to expect. I figured that they would be messing with us the entire time, by serving dishes that look like one thing, but taste like another. 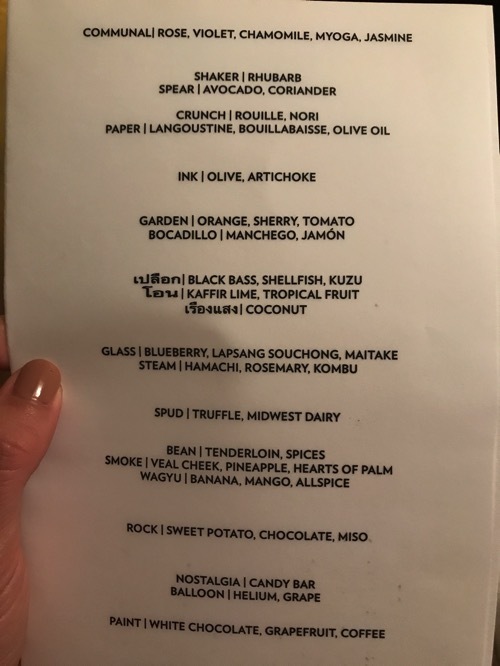 I didn’t know how much we’d be surprised during the meal, and how incredibly flavorful and different each course would be. It was the dining experience of a lifetime, and by far, one of my most memorable meal experiences. When we were led into the dining room, the scene was ethereal, with a long white table, candles, soft tulle, and small metal flowers. Potted flowers hung from the ceiling. They filled glasses of champagne for everyone, and dinner officially began. 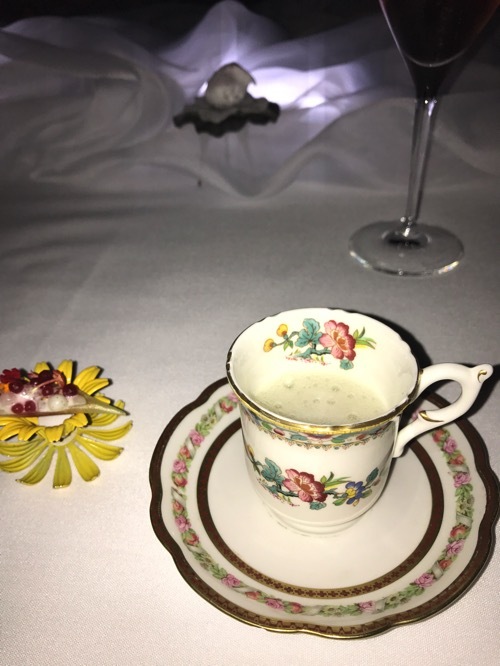 Our first course was a mix of different small bites: chamomile meringue flower petals that were placed on top of the metal flowers that adorned the tables, Japanese cheesecake, and a cold, creamy melon drink poured into a tiny china teacup. We were all enjoying the small bites, and one of the servers told us that they always water the flowers for each meal. They began to pour a liquid into the potted flowers that hung over the table, and before we knew it, dry ice fog began spilling out with a powerful rose scent. 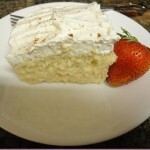 It brought an entirely different layer to the course and gave the bites a sweet floral flavor. and enjoyed a romaine bite with avocado, coriander flowers, and lime. We also had cocktails that were mixed using this machine. There are only 30 in the world! I wish I could remember what was in said cocktail, but it was fruity, slightly sweet, and boozy. <— all you really need. We were all feeling pretty happy by the point we headed back into the dining room, and saw that it was an entirely different room. The long table was gone and it was separated into 4-seater tables, the art and ceiling coverings were completely different. I won’t go through each course in detail -it was a 3-hour meal!- but snapped some quite pics of the food, which was exquisitely plated. I ate everything, and looooooved it, minus the veal. The Pilot was happy to take it off my hands. A soup with dehydrated langostino -it was SO savory and satisfying- served with nori rolls, with a cashew-potato mixture inside. The invisible Butterfinger. They placed a glass bowl on each setting that had an empty Butterfinger wrapper inside. At the top of each bowl was a clear gel. The gel tasted JUST LIKE A BUTTERFINGER bar. It was pure magic, I tell ya. The famous dessert course -painted and splattered onto fiberglass at each table- and the concord grape sugar balloons. When we left, we couldn’t stop talking about the meal. 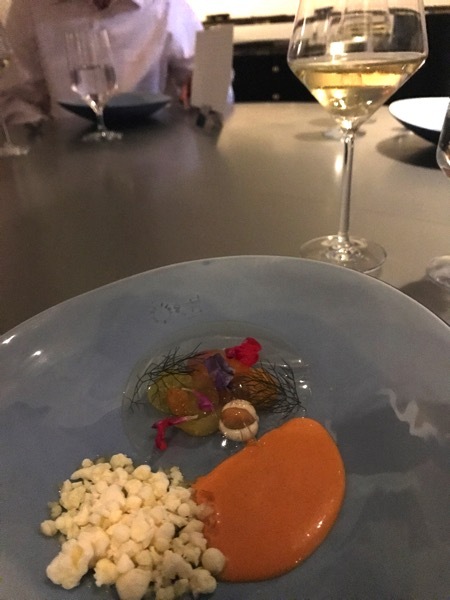 It was so much more than I was expecting, and while I knew the food would be plated gorgeously and be presented in a way that would completely mystify us, I didn’t expect it to taste as good as it did? Which is silly because it’s #21 on the list of best restaurants in the WORLD, so duh the food would taste amazing. 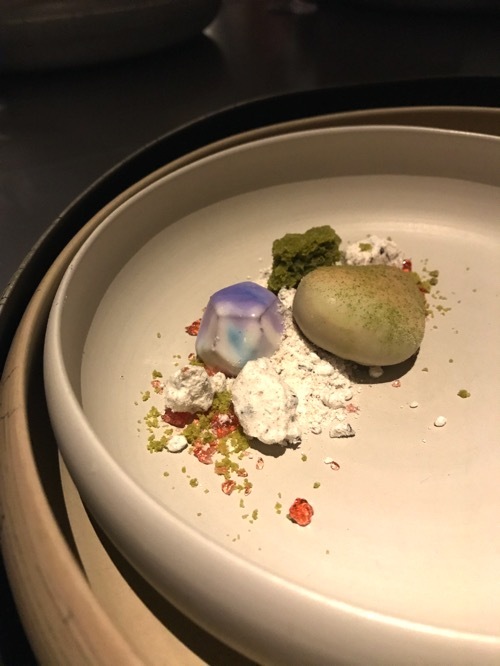 Alinea took cuisine to an entirely different level, by completely intriguing all of our senses, experimenting with different textures, sights, sounds, scents (the Denver campfire smoke was incredible), and flavor profiles during the course of the meal. If you have the chance to go, I highly, highly recommend it. 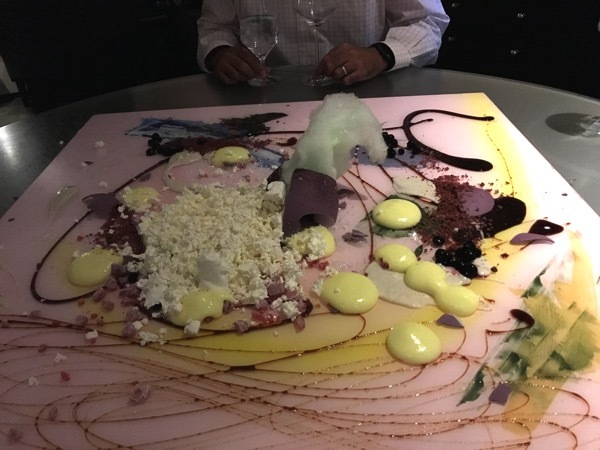 I’d love to go back in a few years, try Chef Grant’s restaurant called Next, and see how much the Alinea menu has changed. While it was a lot of food, I found that it wasn’t heavy at all. We were totally full when we left, but not in a miserable way. 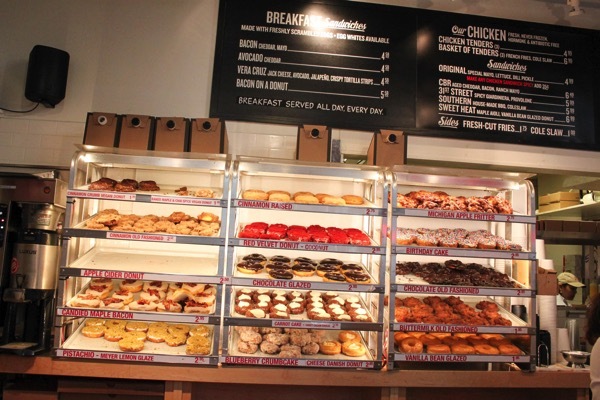 Donuts at Do-Rite. The chocolate old-fashioned donut was the best I’ve had in my life. 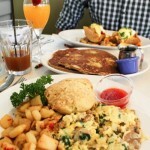 Brunch at Nico Osteria. My good friend Mara, whom I met in the early blog days of yore, invited us to join her fam for brunch. I’d been dying to meet her sweet little girl, who would be BFFs with P, and also try out her sister’s restaurant. Her sis Leigh is the pastry chef, and she surprised us with the most delectable desserts I’ve had in a long time. Everything was gorgeous, and a unique combination of flavors and textures. There was a little bit of crunch in each offering. (She told me that “crunch” is her favorite flavor.) The croissants were buttery and fresh, the chocolate desserts were super dreamy, and my absolute favorite was the apple tart. It tasted like fall on a dish. We spent a lot of time catching up with Mara and her family, in between moaning with happiness hahah, and I’m so glad we got the chance to see all of them! We also managed to eat “real” breakfast in there, too. When you’re in Chicago, you RALLY. 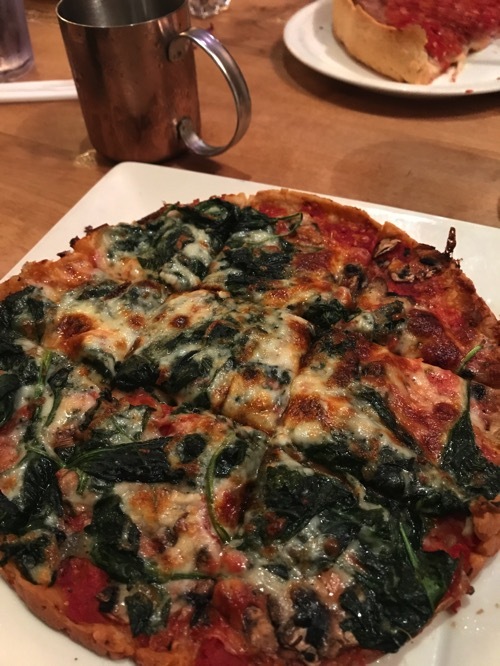 There are quite a few popular Chicago pizza options, and locals are super passionate about pizza recommendations. We decided to hit up Lou Malnati’s for deep dish before Hamilton, and the gluten-free thin crust pizza gave me life. The crust was buttery and crisp, and the tomato sauce was beautifully simple. I love when tomato sauces aren’t loaded down with a ton of spices. I will dream about this pizza from now on, but the good news is that they ship! So when a craving strikes… there ya go. Caviar and cocktails at Heritage. As you can tell, we ate a lot of sweet treats and decadent food while we were there. 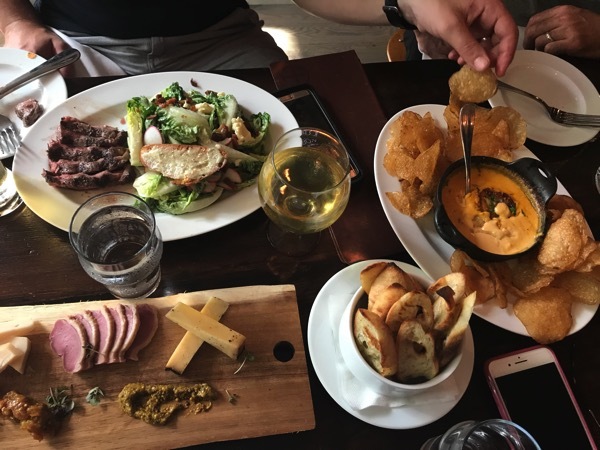 By the time Saturday rolled around, we didn’t think we could handle another huge meal. 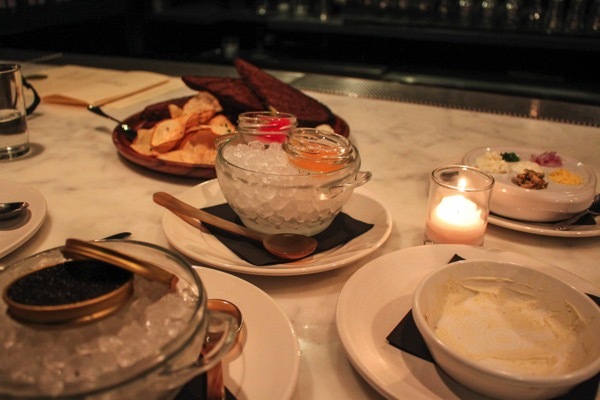 Instead, we caught an uber over to Heritage, and enjoyed caviar, cocktails, and snacks (curly fries, a caviar panna cotta, and a crudités platter). While the food was really good, the standout was the cocktail. The mixologist made me a lavender creation that was super smooth, not too sweet, and infused with lavender syrup + fresh herbs. In addition to the more planned sit-down meals, you know we also enjoyed some Chicago classics. We brought home bags of Garrett’s popcorn, which are almost gone, and the Pilot enjoyed a Chicago hot dog while we people-watched in Lincoln Park. It was a delicious trip, indeed. With all of this food talk, it’s breakfast time in our house. I’ll be back soon to share some of our adventures! Have you been to Chicago? If so, where’s your favorite spot? Are there any particular restaurants or chef’s restaurants you want to visit? Thank you so much for stopping by the blog today and I’ll see you on Instagram, and in the am. 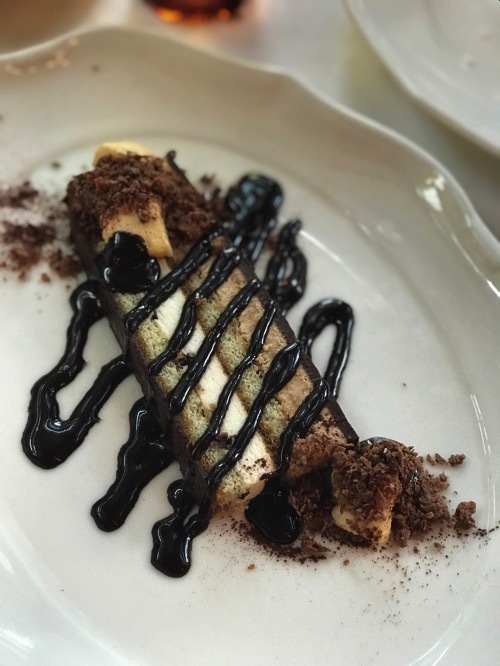 That butterfinger dessert sounds amazing! I’m always amazed by things like that because my cooking skills are definitely subpar! My birthday was yesterday and to celebrate we went to a beautiful little town in the mountains and ate way too much food. To end our meal, the 4 of us shared a dozen cookies!!!! We didn’t eat them all but today I’m on a detox. Haha Your weekend looks amazing. When I travel, it’s usually all about the food. Ooooh – you were in my neighborhood – I live across Clark street from Lincoln Park. So I would have to say that the Lincoln Park lagoon is one of my favorite spots in the city. I am so thankful that I do not live or work too close to Do-Rite you hit the nail on the head about the old fashioned. I have no will power with those. Glad you had a nice visit! We just got back from Chicago ourselves and I agree, we could stay there and eat and still not be close to working your way through! We got to eat at Frontera, a Rick Bayless place. YUMMO. And the best margaritas I’ve ever had (and I live in Texas). I tried to get Hamilton tickets but they were sold out and resale was more than I was wanting to pay! So jealous you got to see it! I always wanted to go to a fancy pants restaurant like that where they try really experimental stuff. I don’t think there are any vegan ones like that around- althought I got to eat at Vedge and they are pretty awesome. They actually serve salt roasted beets- just like those potatoes you ate. Perfect timing! 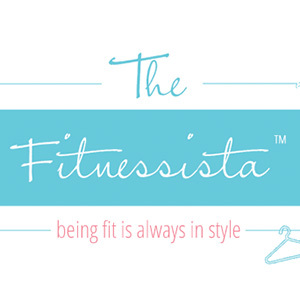 FNCE is next month (Dietitian conference) in Chicago! Totally writing down these recommendations and setting some stuff up! oh you will have the best time! 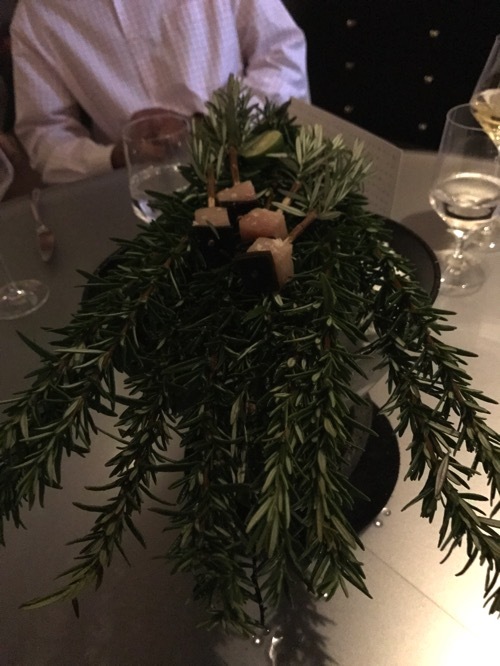 Did the Alinea meal have any gluten in it? How did you handle that? I noticed you didn’t get a regular deep dish pizza, but I forget if you sometimes have gluten? I’m not sure if I’d want to mention a gluten intolerance at a $200/per person restaurant. How does that work!? it did contain gluten, but there wasn’t a lot of it in the meal. the only things i can think of off-hand were the japanese cheesecake and the broth for the soup probably had soy sauce in it. i don’t like to eat a lot of gluten or dairy because they make me lethargic, break out, and bloated. here and there it doesn’t affect me as much. Happy Anniversary! 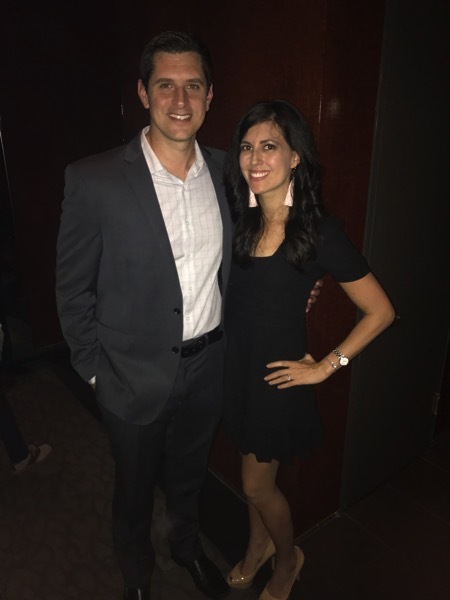 We went to Next a few months ago for their Ancient Rome menu and it was so much fun! Chicago has so many good places. I love that my best friends live there cuz when I visit we’re always trying something new. there are so many good places! 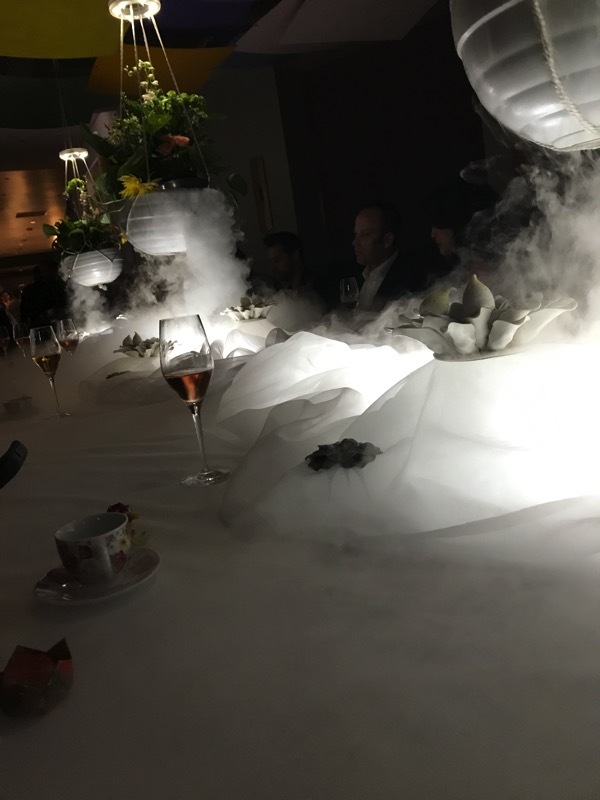 Alinea is the most wonderful dining experience I have ever had in my life. Just amazing! 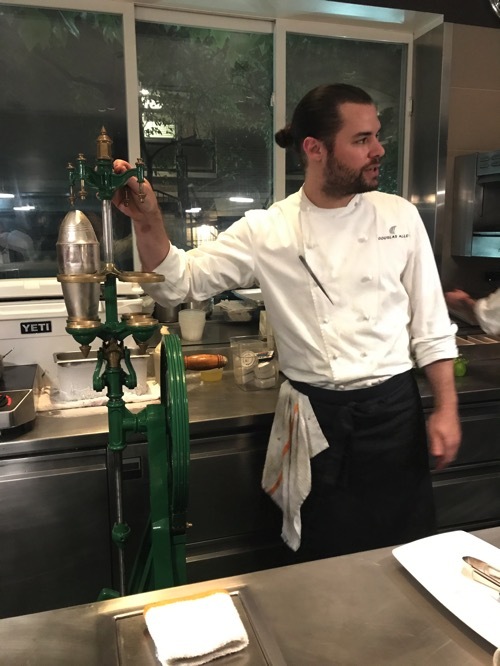 I’ve since moved from Chicago but I can not wait to go back there again…he’s just an incredible artist with food. Yay for Chicago! Wow, Alinea sounds amazing. 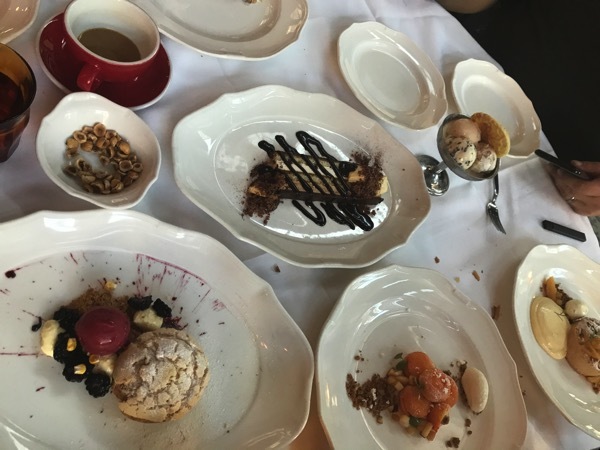 Having lived in the SF Bay Area for five years now, I am definitely a food snob — and I felt like Chicago held its own in the restaurant department when I visited. 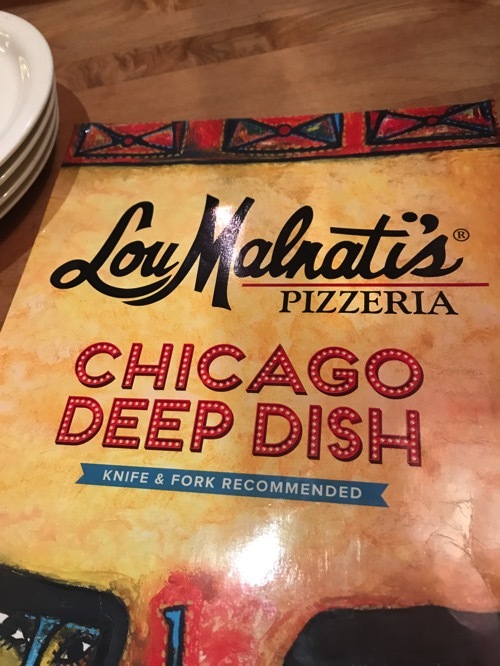 We also went to Lou Malnati’s and I was all over a deep dish personal pan hahah. Only wish we had seen Hamilton! What a great trip! Our favorite activity in Chicago was seeing a Second City show — that’s where a lot of SNL actors get their start. It was BEYOND entertaining! Have you been?? My friends went to Alinea on Super Bowl Sunday a few years ago. Tickets were half priced for that reason :P.
I think a 10th anniversary is a great excuse to go to Alinea. Glad you made the trip! I am also glad you went to Lou’s. It’s my personal favorite for Chicago Deep Dish. We just watched this episode of Chef’s table last night! I am so jealous! I told my husband that that is one place we have to visit Chicago and go to. So fun that you went!! That sounds like an insane dining experience! 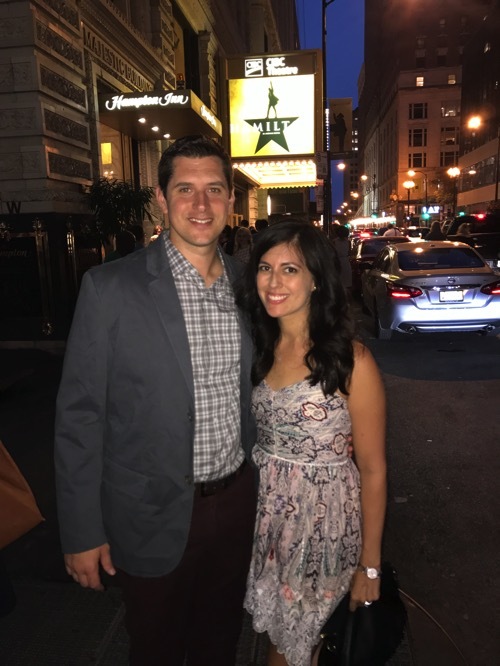 My husband and I love Chicago and went on many dates there throughout our college years including seeing the broadway tour of Les Miserables! It’s an amazing city. 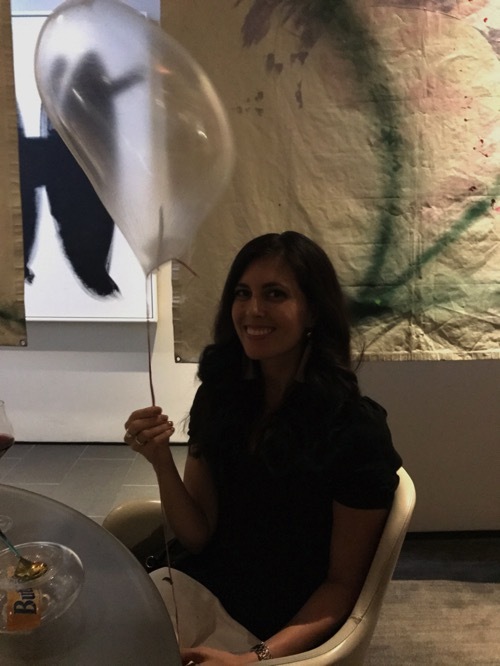 When I went to Alinea the menu and decor was totally different! It’s amazing to me how they switch things up. 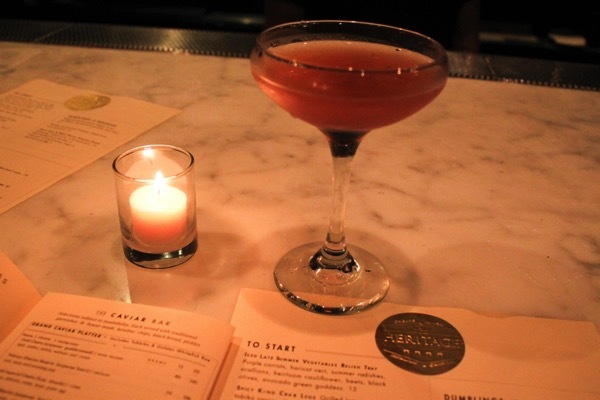 Next time you are in Chicago you’ll have to check out Violet Hour for cocktails. It’s a speakeasy and almost has an Alice in Wonderland vibe. It’s definitely a gem!